Zack Snyder's Batman V Superman: Dawn of Justice is now playing in theaters - and while opinions about the film itself are all over the place, one thing that most everyone seems to agree on is that Gal Gadot's Diana Prince/Wonder Woman is one of the film's stronger elements (if not the strongest). Beyond that, Batman V Superman raises intriguing questions about Diana's history in the DC Extended Universe - questions that will be addressed in 2017 with Wonder Woman, the Godot-anchored superhero movie that is being directed by Patty Jenkins (Monster) and scripted by Jason Fuchs (Pan). There's plenty of backstory for Wonder Woman that could be explored during Jenkins' film, seeing as the character is around 5,000 years old during the events of Batman V Superman. However, the bulk of the character's solo film looks to take place in the 1910s (specifically, over the course of WWI) - a time when Diana is noticeably different from the more experienced, but also more world-weary, superhero whose faith in humankind (mankind, in particular) has been shaken when she crosses paths with Batman (Ben Affleck) and Superman (Henry Cavill), as noted most recently by Gadot herself. "Usually when you get a script and you work on a character, you start at the beginning and then you go to the end. You evolve with the character. In BvS, I started at the end result of Wonder Woman. In the standalone Wonder Woman movie, it's the first time we're going to tell the coming of age of Wonder Woman and I'm going to go back in time, I'm going to travel back in time. Wonder Woman [in the solo film] is different than the one you're going to see in BvS. She's more naive and pure and she's this young idealist who does not understand the complexities of men and life, whereas in BvS she's super, she's very experienced and it's been such am amazing creative process." One of the big questions raised in Batman V Superman that will be resolved in Jenkins' Wonder Woman film is what event(s) led Diana to turn her back on humankind and keep a low profile within the general population (doing her best to hide her "meta-human" status), rather than present herself openly as being a protector for humanity and/or a symbol of hope in the way that Superman aspires to be. In Batman V Superman, Diana alludes to something that happened around the year 1918 (which is when the vintage photograph of her featured in Batman V Superman was taken), but remains vague on the matter - and seeing as we already know the film will be deviating a bit from Wonder Woman comic book stories past, the answer to that riddle remains very much up in the air. Jenkins' movie will also explore Diana's life in Themyscira among her fellow Amazons, before she heads off into the world of mortals to fight in the first World War. In that regard, the general expectation is that the Wonder Woman solo movie will resemble a cross between the high fantasy of Marvel's Thor and historical action/adventure of Captain America: The First Avenger - but with a tone that isn't a jarring change from Man of Steel and Batman V Superman, in order to maintain a stronger internal rhythm among the various installments in the DCEU. 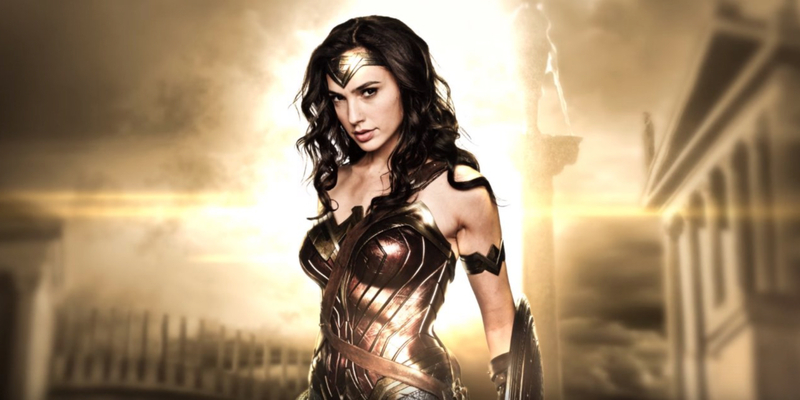 Chris Pine, who plays the human soldier/Diana's love interest Steve Trevor in Jenkins' film, has also emphasized that Wonder Woman has "a great deal more compassion and love" at its core than superhero movies past - suggesting that Diana's journey from being "naive and pure" to the more experienced warrior seen in Batman V Superman should be less conventional than your stock superhero origin story movie. Of course, between the Wonder Woman solo film's WWI backdrop and Diana having mentioned that she's fought creatures from worlds other than Earth before in Batman V Superman, it's fair to assume that Jenkins' movie will deliver the expected quota of superhero action and thrills, too. Batman V Superman: Dawn of Justice is now playing in U.S. theaters. Suicide Squad will arrive on August 5, 2016, followed by Wonder Woman on June 23, 2017; Justice League Part One on November 17, 2017; The Flash on March 16, 2018; Aquaman on July 27, 2018; Shazam on April 5, 2019; Justice League Part Two on June 14, 2019; Cyborg on April 3, 2020; and Green Lantern Corps. on June 19, 2020.